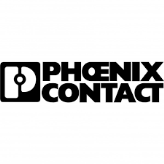 Tylus Enterprise Pte Ltd is now the strategic partner for PHOENIX CONTACT products. BROTHER Tube Printer: Reduced Price NOW! BROTHER Tube Printer @ Reduced Price! © 2019 Tylus Enterprise Pte Ltd. All Rights Reserved. Website by Creative eWorld Pte Ltd.